After doing a lot of oils in the past time I finally got back to my other passion: watercolor. 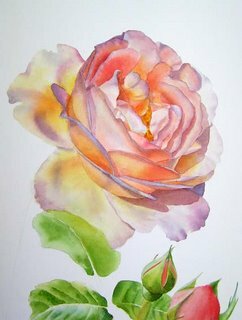 One of my favourite subjects are flower paintings, here especially roses and I decided to do a Rosepainting in watercolor again. 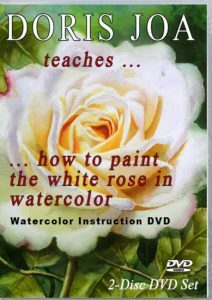 To do a flower painting or here now a rose-painting is always a lot of fun for me. 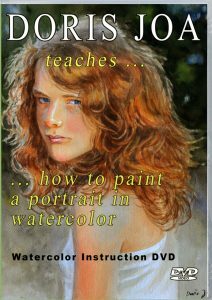 As you will maybe know: watercolor is the difficultest medium. Do you anything wrong, there is no chance, to correct it. You also do not paint with white, you use the white of the paper. To get luminous, rich colours you will always have to work in layers. 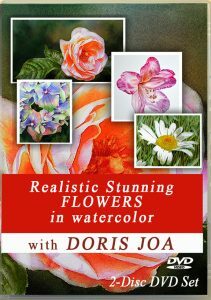 Watercolors are having a special wonderful look and it is great to work with them. But I have to add, that it is going very slowly. Here you will see a WIP of my current rose-painting. 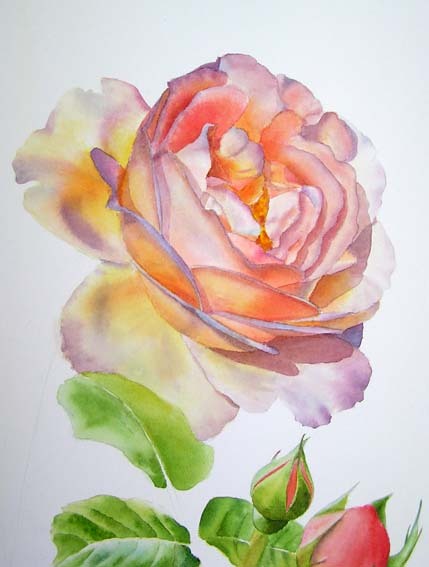 It is not the whole painting, only a part, but there will be only one large rose, then some buds and leaves. As you can see, I was able to get luminous colours and look to the shadow colours. They are not grey – the colours really sing. It is only a WIP – there is still a lot to do. I still have to soften the edges on the mainrose and maybe here and there add a bit of depth. 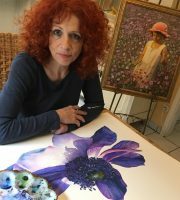 I paint on hotpressed 140 Lb watercolor paper – it has a smooth surface and allows you to paint in layers and not to disturb the underlayers. I do not like the textured surface of coldpressed paper or on other rough paper. 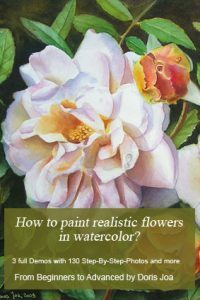 I used the following colours here: indian yellow, alizarin crimson, phthalo blue, translucent orange, aureolin (all these colours are from Schmincke) and I used also from Winsor & Newton permanent rose and naples yellow. These were the colours for the mainrose. 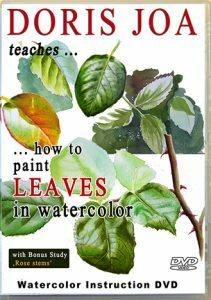 I am working at this time on the leaves and I will show how it goes on.